Ash emissions from NE crater continue, but seem to be decreasing in intensity. According to INGV scientists, the volcano had experienced mild inflation prior to the paroxysm last weekend, and this inflation disappeared. The earthquake swarm on the NE side, still ongoing, but also weakening, is thought to be the cause of compression stress, not extension. In that case, the scenario of a new flank eruption on the NE rift in a near future is much less likely. 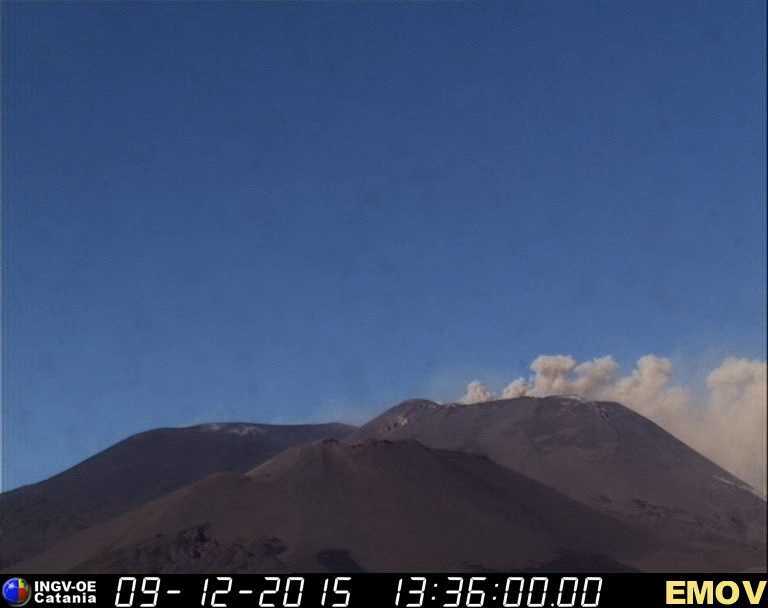 Etna volcano update: Shallow earthquakes under Pernicana fault could herald new flank eruption?